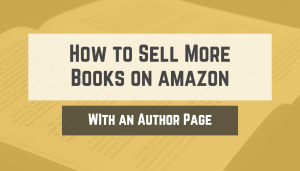 My webinar on how to sell more books on Amazon was a great success! I did the webinar as a fundraiser for charity and more than 75 people ordered! You’ll be pleased to know that checks are being sent to the Wounded Warrior Project, St. Jude’s and Pets and People Together (a local Minneapolis charity for pets). “When I saw one of the bio examples you showed in the webinar with an engaging question, I decided to do the same. This is one of the questions I ask in my presentations. I liked how my bio looked so much on my author page, that I put it on my new website instead of the boring old one. and you’ll also receive a bonus report and checklist “91 Day RockStar Tour Plan” to help you launch your book by Cathy Paper. How does the Author Page influence sales? I don’t look at them myself! Dan: Great question. I’ve run ads to sell books on Amazon. I find that 1 in 26 people will buy a buy a book from an ad. Mind you, these people are pre-qualified. They were chosen to see the ad based on their demographics. They saw ad copy that enticed them and aroused them. They actually took action: they clicked the link! Then they saw the standard Amazon book page and made a decision. If we can do anything to increase people’s ability to know, like and trust you, we must take that action. Improving your bio page is one of the few options Amazon gives you. I say, let’s take advantage of the opportunity, because otherwise, we lose the sale. 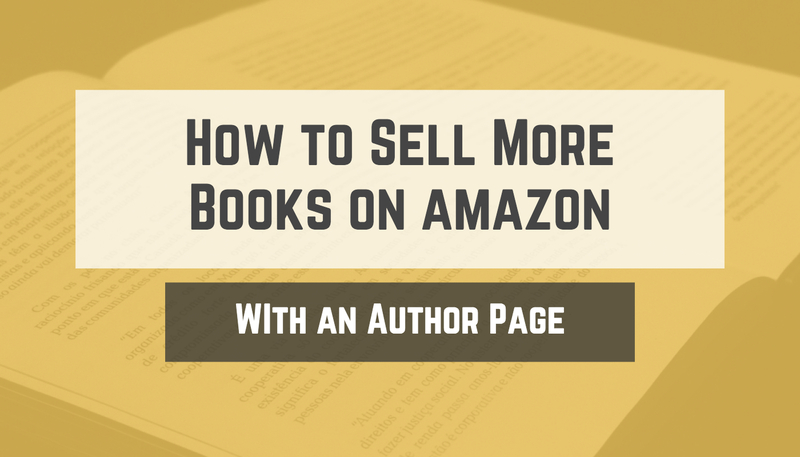 How can an Author Page be part of an interactive community and drive sales? Dan: Amazon lets you promote you social media communities on your author page. You can also show videos and link your blog. Considering that most social media sites don’t want you to ever leave, Amazon is very bold in letting you show your followers where they can more of your content! What is the best format(s) to use to sell books: kindle, paper, ebook? Dan: Different strokes for different folks! There’s a format for everyone – including audio, which you didn’t name. I would suggest you do every format you can afford to do. I’d also suggest you do a bit of market research to find which format your key audiences are likely to use. I was surprised to find that when I ran ads for one novelist, the key buyers were men, over age 65 – and they usually bought the ebook, not the hardcover. So, times, they are a changing! I am using a pen name on my book. How should I best use the Author Page? Dan: Many authors use pen names – even Mark Twain and the author of the Harry Potter books! I’d suggest you create a persona for your pen author so that he speaks with authority on your subject matter, and connects emotionally with your target buyer. Amazon can answer many questions for you, including showing you step-by-step instructions. I’d suggest you use them when you can and do as much work yourself. Dan, you offer authors priceless wisdom on how to position their books for greater impact. You have a unique way of bringing your extensive PR experience into the publishing world. You do so with true commitment to your clients’ success. Hey Dan, I loved your webinar – UBER helpful for me with insightful tips to improve my author page and book blurb on Amazon. You know your stuff! Very grateful. It was a great webinar. I learned a lot.